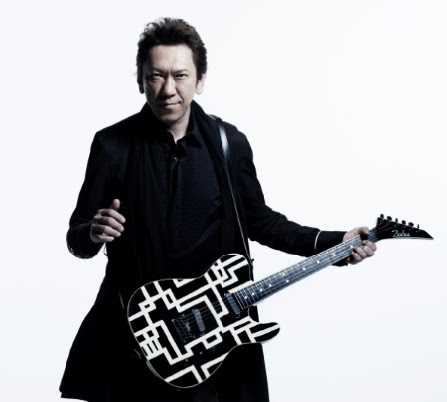 For an artist with nearly 40 years of musical accomplishments including countless collaborations and millions of album sales under his belt, one would think that HOTEI has shown every side of himself to his fans. Yet, somehow, his new album Strangers (Spinefarm/Universal) feels like a new beginning. A debut of sorts, if you will. Perhaps that’s because for as well as listeners know his music, they don’t really know him. He has been blazing a bath in his home country of Japan for decades, not only with his band Boøwy (who became the first male artists to top the album charts three times in a year), but also as a highly in-demand guitarist who has performed with artists such as David Bowie and The Rolling Stones. His introduction to a global audience was through his works being featured in on the screen in films like Transformers, Shrek, and Fear And Loathing In Las Vegas (for which he wrote three original tracks). Of course, his most immediately identifiable work has to be his song “Battle Without Honor or Humanity” in the Quentin Tarantino epic double-puncher Kill Bill. After many years he decided to make the switch and relocate to London, which breathed a new wave of inspiration into him. When it came time to create Strangers, his connections (and his new geography) served him well, having the opportunity to bring in a star-studded list of collaborators including a man who needs no introduction, Iggy Pop. 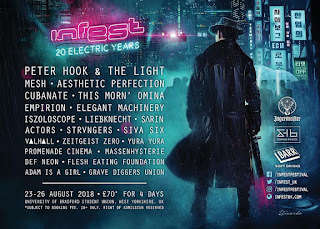 Also appearing are Bullet For My Valentine frontman Matt Tuck, Noko of Apollo 440, and American singer Shea Seger. For the new single, “Move It,” Hotei enlisted Richard Z. Kruspe of industrial titans Rammstein and Emigrate to lend vocals and guitars to the song and the ensuing results are equal parts powerful, crunching, backbeats and slick, finessed guitar licks. For the “Move It” video, Hotei and Kruspe keep it simple and rely on simply assaulting the camera with a crushing load of intensity, energy, and ownership of the film set. The black and white clip uses stark contrasts of light and dark, with a masterful execution of lighting taking what begins as two men in an open room and transforms it into a cinematic accomplishment. Both Hotei and Kruspe perform with an individual fury with an expertise that shows the many years and miles they’re traversed, but it’s in the select few shots when they stand side by side when the kinship between them is readily apparent and undeniably powerful.